Crape Myrtle trees are common yard trees in the southeast and make great additions to Christmas light displays. In December and early January, these trees are typically trimmed back by landscapers, which can be difficult if Christmas lights are installed on these terminating branches. 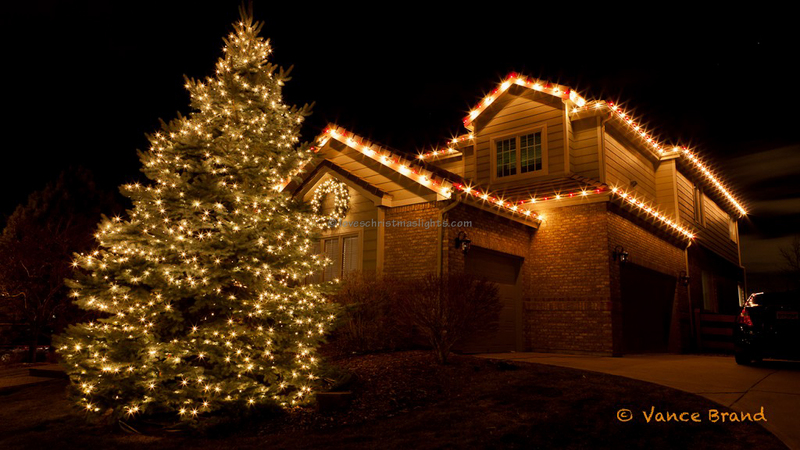 Professional installers will not install lights on these branches, but the trees still look great when decorated! The many trunks on this tree are wrapped in mini lights. As with any element, every branch does not need to be decorated, provided the installation is symmetrical and evenly spaced. Begin at the bottom of the trunks. Secure the male connector and the power source to the trunk. Wrap the lights up the trunk with a four to six inch spacing between wraps. Stop wrapping where the seasonal growth will be trimmed back. This can be identified by a series of knobs where the thinner foilage branches are located. 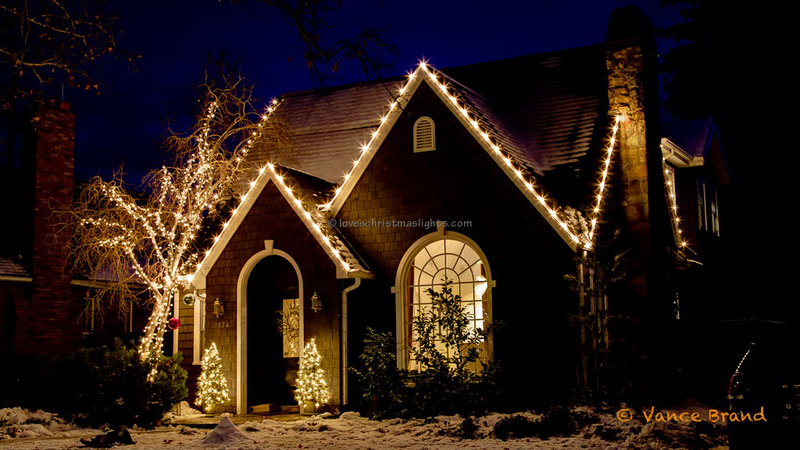 Do not install lights past this point as these branches may be trimmed in December or January. After the Christmas light stringers reach the end of the main branches, return down the branch and continue installing lights on the other branches. Every branch and trunk does not need to be decorated. 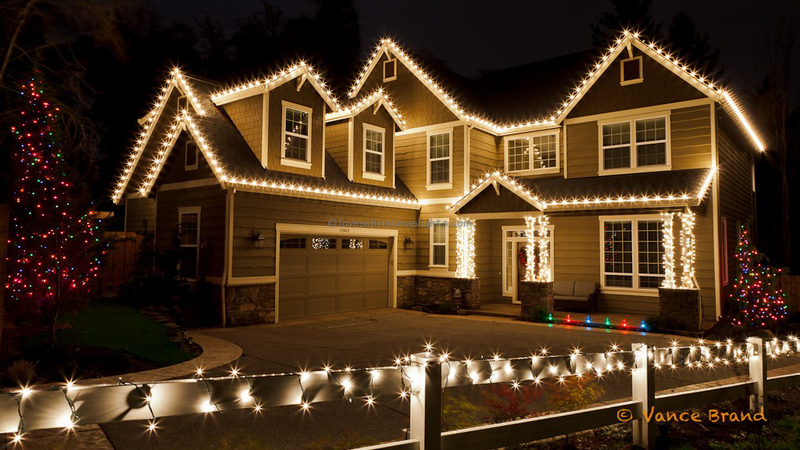 As with any element, ensure an even and symmetrical coverage with lights. A new strand with a male connector can be used for each additional trunk being decorated, but do avoid overlapping already installed Christmas lights.